Oscar Benoit – Lead guitar. 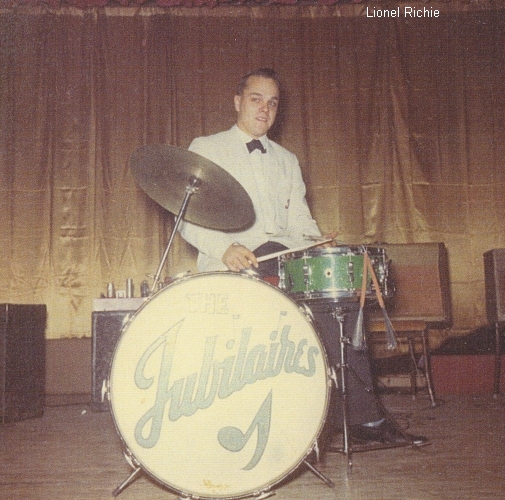 The Jubilaires have a long history that lasted through many decades. The original line-up was an instrumental group that put on their own dances in order to perform live. They rented an old hall, which was originally for hay storage on the second floor of a horse stable in Pain Court, next to the Dover Hotel. Posters were made, a bouncer was hired and a refreshment booth was set up. When the “Bunny Hop” was played, the floor would bounce and it was concern for the band that the crowd would go through the floor. Lots of dust would fly up at each hop. There were no chairs and tables, just a board along the side walls. For the very first dance, the boys cleaned the hall on Wednesday, decorated it on Thursday, played it on Friday night, and cleaned it up on Saturday. They took the profit of $18 and split it 6 ways. 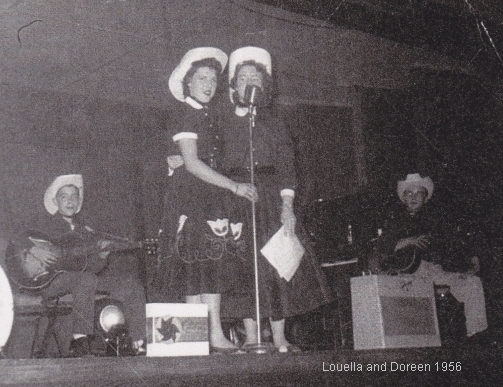 These go getters put on a dance every Friday from June 30th to November 30, 1956. 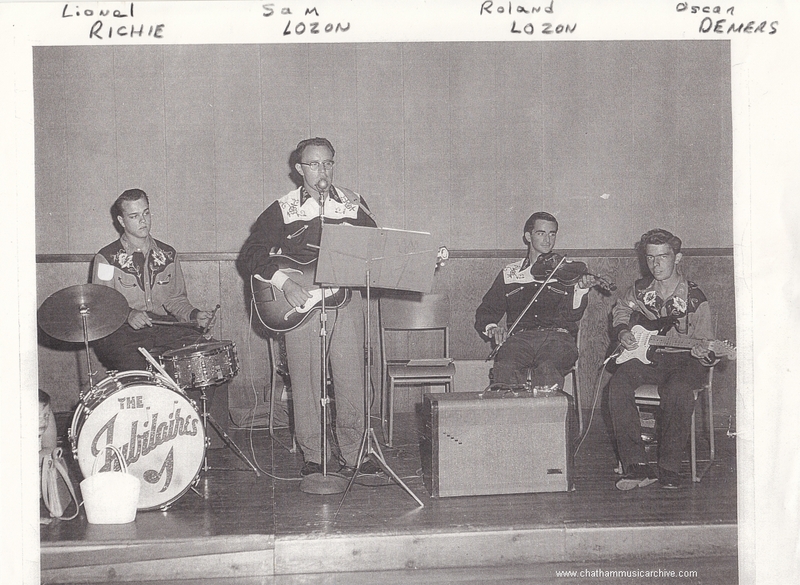 Sam Lozon did join the band as the singer and guitarist circa 1957 and decided to retire from music. 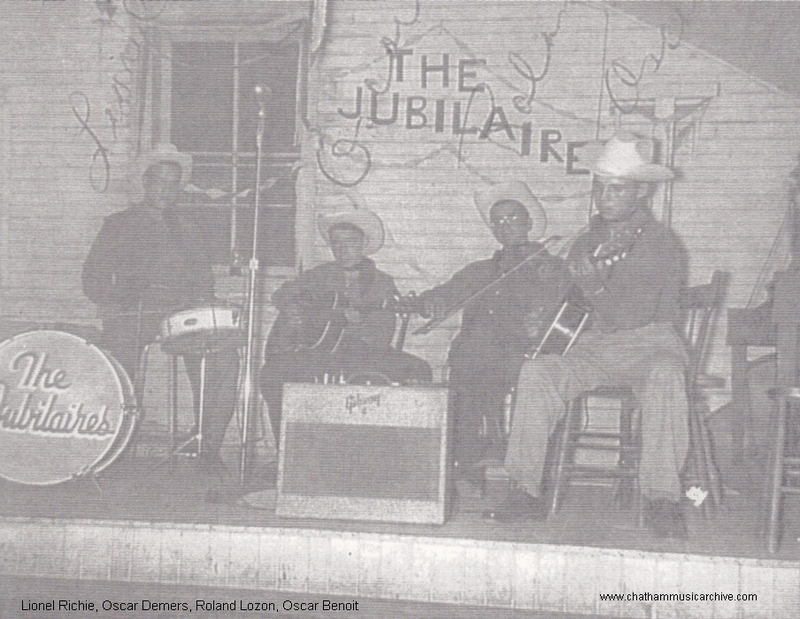 In 1960, The Myers Brothers joined the band resulting in a name change to “Myers Brothers and the Jubilaires (The)”. After that long run, they became known as the Jubilaires II, followed by a brief and final line-up called “Front Page News”.